The Rizal Commercial Banking Corporation (RCBC), one of the Philippines' top 10 banks by assets, will be among the first of four using the Blockchain World Wire for remittance payments services. Those payments are mainly made by foreign workers who send money back to their home country in the same way Western Union and MoneyGram do today. Avivah Litan, a Gartner vice president of research, said various vertical industries – including financial services – are now beginning to "actualize" the benefits of blockchain technology, which is constructed on a peer-to-peer network topology where every participant receives their own copy of an electronic transaction ledger. "We had really slow communications networks and we're always upgrading those because of demand for video and entertainment. We never pay attention to the payment networks and we need to," Litan said. Bloomberg last week posted an interview with Jesse Lund, IBM's vice president of blockchain, who said his company has had "initial discussions" with the two lenders on issuing a so-called stable coin. "We have received interest on the heels of JPM Coin," said Lund, who declined to name the banks. 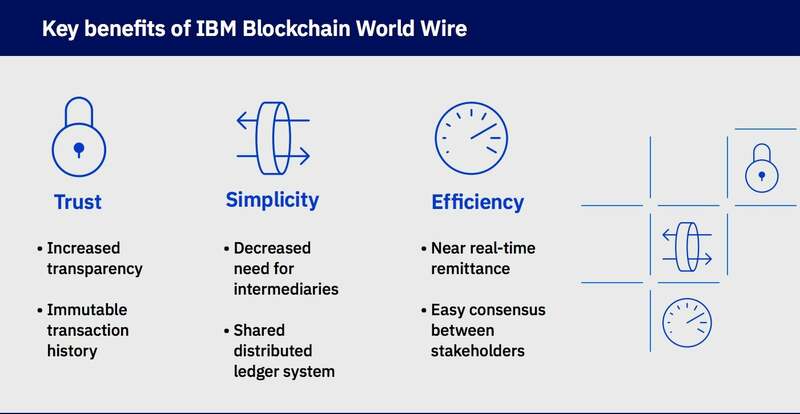 "Because IBM World Wire runs on blockchain, it has a low fee structure and low operational costs. The total transaction cost is comprised of two components – a per-transaction fee and a basis point charge applied to the total payment value," an IBM spokesperson said. "In total, the overall cost is still far less than what is being charged in the market today." "Stable coin is a unique breed," Savare said. "There are a variety of online retailers accepting not only stable coin, but cryptocurrency like bitcoin and ether. I think you're going to see a growing trend, especially among millennials who tend to use crypto, especially at the retail level. You're already seeing that and it's not just tech geek types." Once banks are comfortable using blockchain-based foreign exchange (FX) networks such as IBM's World Wire, and believe it's efficient, reliable and secure, they will likely open up those payment services to business and consumer customers, Litan said. "Clearly, it could become the new payment backbone of the future," Litan said. "One of the problems in the current payment systems is they're so opaque. When you move money, you can't see when it's going to get there. Some systems will tell you it'll be there in two days, but you don't have a lot of visibility," Litan said. "This [World Wire] is totally visible to the participants. It's actually a great technology for moving money." 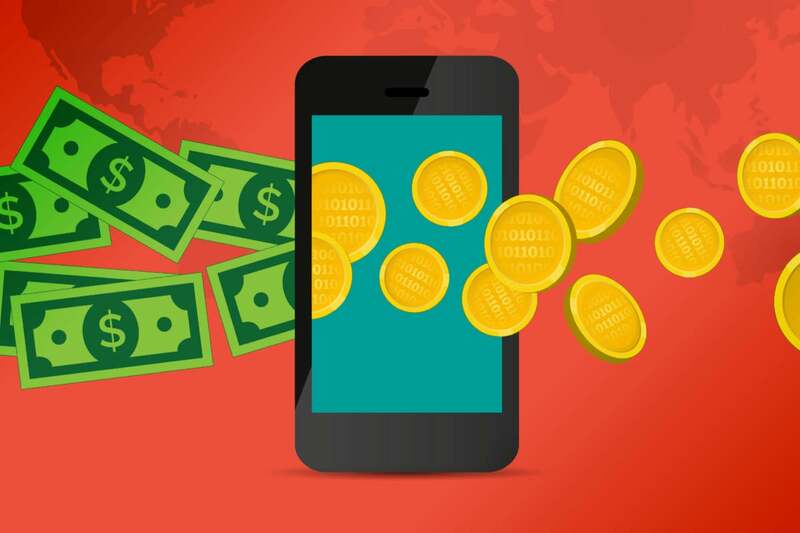 Along with financial services companies, companies such as Facebook are purportedly working on creating blockchain-based payment systems that would allow users have a "PayPal-like" experience to purchase advertised products. Ethan Silver, a partner at Lowenstein Sandler LLP who leads the firm's regulatory practice relating to blockchain technology and digital assets, said existing regulations will have to be interpreted appropriately to address DLT payment networks, but they probably won't "perfectly" address the technology in their current state. "We have already seen the SEC... commenting on stable coins for example, and how some of them have the appearance of securities," Silver said via email. "Accordingly, companies have to be very mindful of the existing structure of the legal landscape and its application to evolving technology like blockchain in this paradigm shift, including for currencies." "It's got to be proven to operate 10,000 transactions per second," Litan said. "We've seen it in pilots, but we haven't seen it in production yet. That's the main hurdle: scalability. Then there's security and data confidentiality – all the usual things have to be proven." Seven major universities are already working together to develop a digital currency network that solves blockchain's scalability problems, as are industry groups such as the Ethereum Foundation. Along with addressing performance issues, however, banks can't simply rely on blockchain service providers such as IBM, Google, Microsoft and SAP to run the infrastructure – the so-called rails over which payment transfers ride; in a sense, the financial services industry must "take ownership" of blockchain technology by committing internal resources to it. "For instance, IBM is not in the position to become a bank issuing stable coin. IBM doesn't collect deposits from consumers or companies, so they don't have deposits being used for stable coin. You have to have collateral," Litan said. "They can have IBM manage it on their behalf, but they really have to own it, meaning they need to know how it works, they need to be able to run it if they have to, they have to be able to manage their demands. Banks must also commit back-office IT staff to oversee transaction networks because they do not run on their own and must be managed for risk, something already done with legacy payment and settlement networks. "So I don't think there will be much more to managing this," Litan said. "I think that's one reason IBM chose Stellar. Some of our blockchain clients are migrating toward Stellar. Four years ago, they'd say Ether and now it could be Ether, Stellar, or any one of a number of cryptocurrencies," Savare said. "I think it's going to democratize banking."